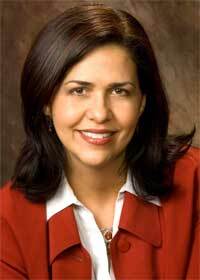 The National Latino Education Institute (NLEI) has recognized Rosita Lopez as its Hispanic Hero. Lopez is an associate professor in the Department of Leadership, Educational Psychology & Foundations in the NIU College of Education and chair of the board of directors of Casa Central, one of the largest Hispanic non-profit organizations in the United States. Founded in 1972, NLEI is a non-profit community service agency that provides education, training and employment placement services. The award commends Lopez’s leadership in education, her resolve in pursuit of excellence and her work in creating avenues for others to achieve their full potential. “It was an honor to receive this award and a privilege to be part of the great work that NLEI does in offering endless opportunities to those who might otherwise end in a life of poverty,” Lopez says. For more than 20 years, Lopez has worked with Hispanic communities around the United States to share strategies, stories and words of encouragement with those who might feel they cannot achieve. Her own background as a high school dropout is a compelling story of fortitude and persistence. “I am an example of someone who was not supposed to make it,” Lopez says. Through her personal experiences, she shares the message about rising above one’s circumstances to reach one’s potential. Lopez emphasizes the critical role education plays in gaining self-sufficiency.